This is the second in an occasional series in which I ask a bunch of theatre composers the same questions and see how similar and different they are. 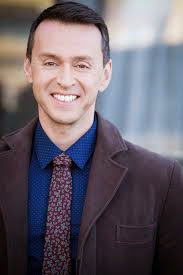 Composer-lyricist Andrew Lippa (The Wild Party, Big Fish, The Addams Family, john & jen, I Am Harvey Milk) recently agreed to go under the microscope..
Caring what other people think. I've gotta just do what I think is good. I think the best work happens that way. Sometimes yes, sometimes no. I think it happens 'cuz you learn more about your show as you write it. It's a living thing and needs to be heard and seen. Once you write a draft and show it off with actors playing the roles, you learn more than you'd ever be able to learn by just playing it over and over in your head. P.S. See all my Six Questions with Stephen Flaherty.